Victoria Prentis M.P. opened the recently installed fitness trail in Deddington on Saturday. She was accompanied by County Councillor Arash Fatemian, District Councillor Bryn Williams, representatives of Deddington Parish Council, Deddington Football club and Deddington Cricket Club. 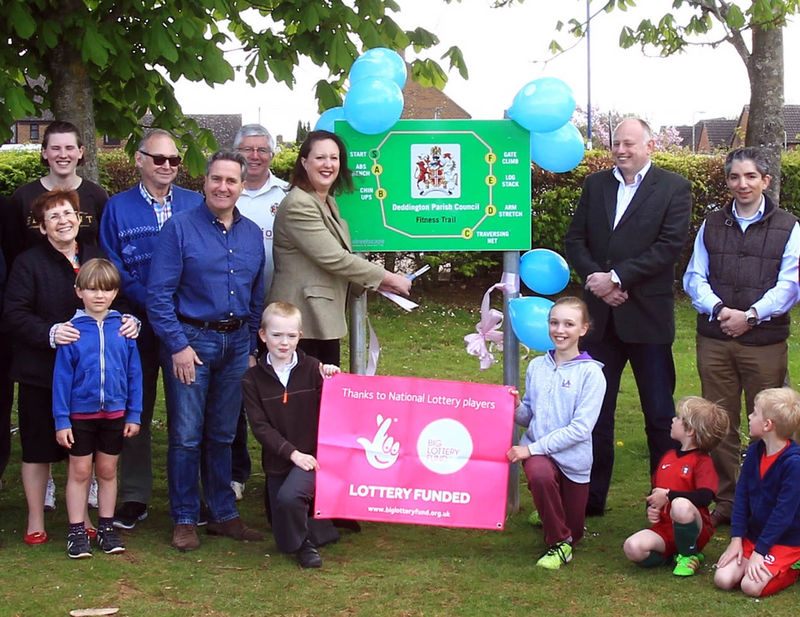 The Parish Council would like to thank the Big Lottery Fund for funding the Adult Fitness Trail, Peter Harrod from ‘Streetscape’ for managing the project.